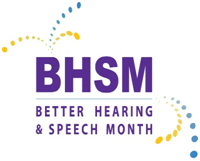 May is Better Hearing & Speech Month—a time to prioritize communication. Here are 10 tips for parents on how to managekids’ technology use to keep communication at the forefront. Make tech use a group activity. While it is most often used on an individual basis, tech usecan be turned into a group activity, such as while playing an online game.Talk about what you’re doing! Consider whether young kids reallyneed their own devices. It is not uncommon for kids to have their own tablets or mp3 players. Many are designed and marketed specifically for kids. This may lead to more time spent alone with technologythroughout the day. On the other hand, devices designed for kids often offer additional features that appeal to parents, such as limited (kid-appropriate) content and extra security options, so this is a balance for parents to consider. Set daily time limits. Certain devicescan be programmed by parents to shut off after a certain amount of time, but you can also make a child aware of the time limit and keep track yourself. Always practice safe listening, especially when using ear buds or headphones. Misuse of this technology can lead to noise-induced hearing loss. Even minor hearing loss takes a significant toll academically, socially, vocationally, and in other ways, so prevent the preventable.Teach kids to keep the volume down (a good guide is half volume) and take listening breaks. Learn the signs of communication disorders. This is important for all parents, regardless of their children’s technology use.Early treatment can prevent or reverse many communication disorders. Parents should not wait to see if a child “outgrows” a suspected speech or hearing problem. If you have any question aboutyourchild’s speech or hearing, seek an assessment from a speech-language pathologist or audiologist. Learn more at http://Ideorg.